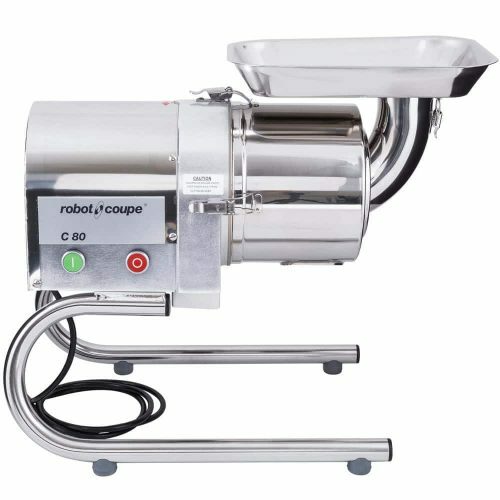 The Robot Coupe Automatic Sieve has great versatility, the machine produces juice, fruit purees, vegetable mousses, sauce bases, bisques and fish soups. All parts are made of stainless steel to ensure easy cleaning and durability. Continuous feed hopper for ease of use and time-saving. All parts in contact with food are easily removed and are dishwasher safe. The sieve is great for restaurants, caterers, confectioners, fishmongers and much more! The machine can strain soups, bisques or sauces, extract fruit pulp or separate fibres from vegetables.